(NaturalNews) As the disappearance of honeybees continues, researchers are trying desperately to discover the cause of Colony Collapse Disorder (CCD). General concensus at this point is that there is more than once cause and the latest culprit may be genetically modified crops. This is one area of research being neglected as mainstream scientists insist GM crops are safe. 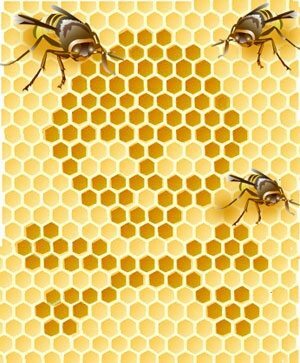 For the last 100 years, beekeepers have experienced colony losses from bacteria, (foulbrood), mites (varroa and tracheal) and other pathogens. These problems are dealt with by using antibiotics, miticides and and other methods of pest management. 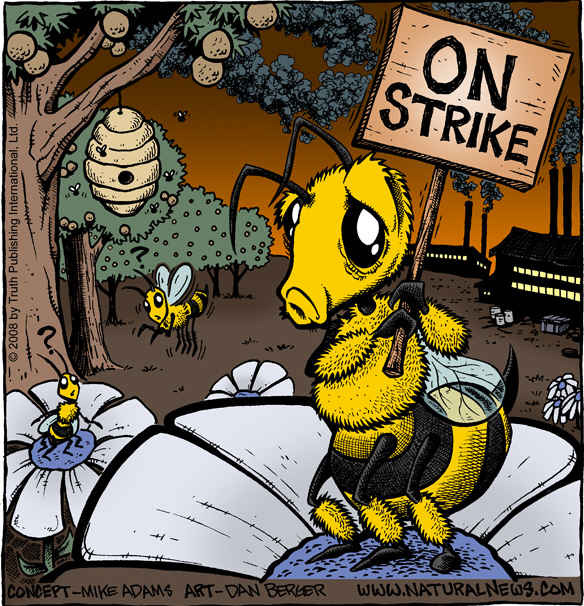 Losses are slow and expected and beekeepers know how to limit the destruction. This new mass die-off is different in that it is virtually instantaneous with no warning of the impending collapse. John McDonald, a bee keeper in Pennsylvania with a background in biology, speculated that genetically modified crops could play a role in CCD. Although the government constantly reassures us that these genetic manipulations are safe for both humans and the environment, his hope is that looking more closely at these issues might raise questions about those assumptions. Tens of millions of acres of genetically modified crops are allowing the Bt genes to move off crop fields and contaminate other flowers from which bees gather flowers. “Given that nearly every bite of food that we eat has a pollinator, the seriousness of this emerging problem could dwarf all previous food disruptions”. (John McDonald) He proposed an experiment to compare colony losses of bees from regions where there are no GM crops to losses of colonies where they are exposed. He wanted to put test hives where GM crops are so distant from the hives that the foraging worker bees would have no exposure to GM crops. Researches readily dismissed his ideas and no one followed through with such an experiment. At this point, he decided to do his own investigation at his own expense. He established 8 colonies in new wooden hives to ensure no possible disease transfer from old hives. The bees were fed continuously with sugar syrup until the hives were placed at the selected locations. “At both sites the flowers of goldenrod provided ample pasturage, with the honey flow commencing in the middle of August and tapering off by the second week in October. Medium-depth empty honey storage supers (a super is the part of the beehive used to collect honey) were put on the hives at this time in addition to the three brood chambers already there. By the simple expedient of lifting the hives from behind, progress could be roughly monitored. John McDonald is a beekeeper in Pennsylvania. He welcomes comments or questions about the bee problem at mactheknife70@hotmail.com. 1. 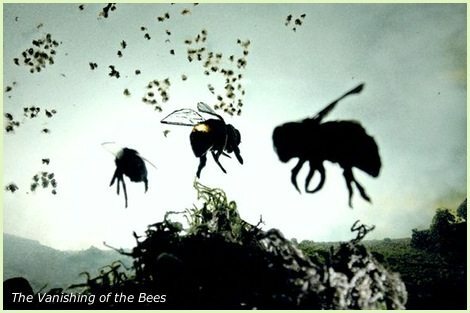 Survival of honeybees during sub-chronic exposure to Cry1Ab. 3. 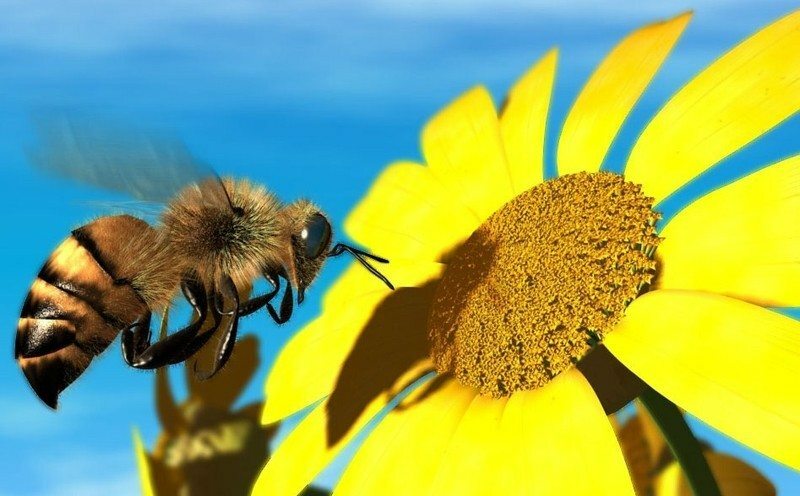 Learning performance at the time that honeybees become foragers. Neither test concentration of Cry1Ab had lethal effects on the honeybees, however, when exposed to the higher concentration, feeding behavior was affected. The bees spent longer ingesting the syrup which contained the Cry1Ab which could mean smaller amounts of pollen would be collected. These bees also had impaired learning performance. Honeybees normally do not continue responding to an odor when no food is present, but should be discouraged and seek other sources. These bees continued responding to the odor which again, could affect pollen gathering efficiency. This study indicates that although Bt is not directly lethal to honeybees, it could indirectly lead to colony death due to failure to collect enough food to sustain the hive. These findings may be the key to the difference in honey production in Mr. McDonald’s experiment. Bt appears to have non-lethal effects which become apparent only when the lethal effect is absent. Although not directly lethal to non-target organisms, the toxins from the Bt gene potentially puts non-target insects such as honeybees at risk. Patty Donovan was in a wheelchair and could only walk around her house with a cane. She was on over 20 medications. When told to “take the morphine, get in the wheelchair and learn to live with it” by a neurosurgeon, she knew her life had to change. She is now almost a fanatic when it comes to healing through the use of “whole foods” and and natural remedies. Since that time, she has spent countless hours researching nutrtion and alternative health. After spending 30 years in the allopathic health care industry in both pharmacy and as an RN, she brings a unique perspective to Natural News readers. Since committing to this new life style, she no longer uses even a cane, has gotten off over 20 medications, lost over 50lbs and returned to work. All for the sake of paper. Little pieces of paper. I would like to know how scientists can declare GMOs to be safe, when there are virtually no independent studies done (and those all show dangers), and absolutely no long-term studies at all. Making pronouncements based on what one thinks, hopes, wishes, or is told by vested interests, without any evidence… That’s the opposite of science. We all have a very scary future ahead of us. Not just for us, but our children and grandchildren. Greed has altered our lives more than anyone could possibly imagine. Don’t worry about grandchildren: There won’t be any. Animal feeding experiments on GM crops resulted in sterility by the third generation, and very defective young, many of who did not survive, on these GM crops. Older Article: If the police get their tower, what does that make us?